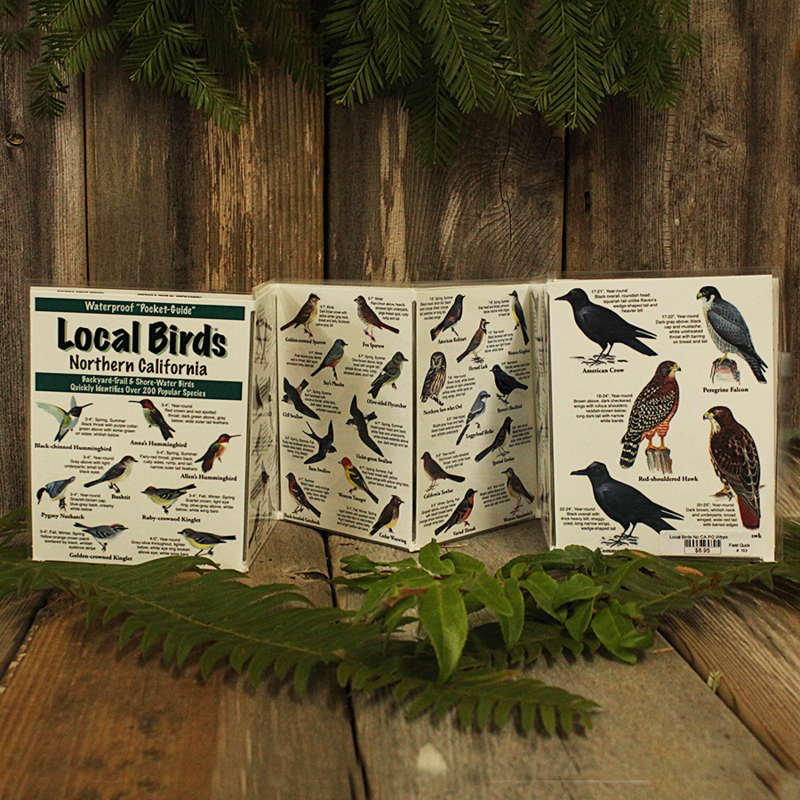 Folding laminated pocket guide to the birds of Northern California. Contains illustrations and short descriptions of over 200 species. The guide has 12, two-sided panels and folds to be 4-1/2 inches wide by 5-1/2 inches tall.